Smashbox Limitless 15 Hour Wear Cream Shadow "Fern"
Anastasia Beverly Hills Covet Waterproof Eyeliner "Vert"
Anastasia Beverly Hills Covet Waterproof Eyeliner "Noir"
1. Lay down the cream shadow (Smashbox "Fern") with a finger, starting from the center of the eyelid and blending upwards and outwards into the crease and outer corner of the eye. Cream shadows are easiest applied with fingers but brushes can be used if proffered. 2. 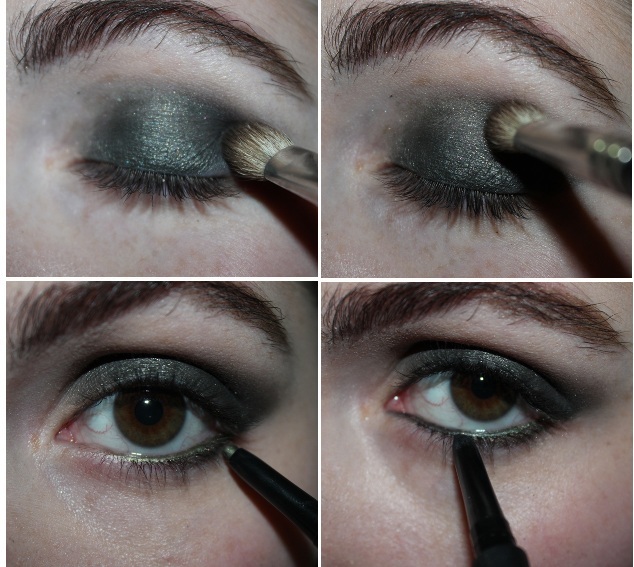 Blend a black eyeshadow (Urban Decay "Creep") into the crease and outer corner of the eye in a "C" shape with a blending brush (Mac 217). Blend back and forth with the brush until the colors blend seamlessly. to the lower lash line from the outer corner outwards fading towards the inner corner. 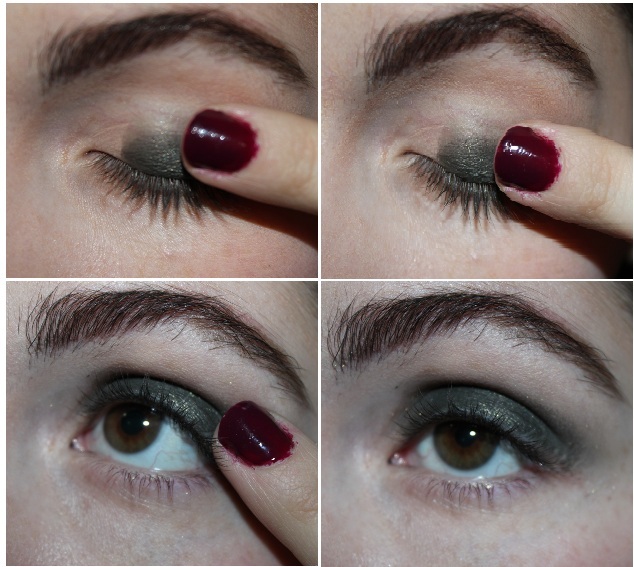 Then apply a black eyeliner (Anastasia Beverly Hills Covet Waterproof Eyeliner "Noir") to the inner rim blending in with the green. 4. Take that same black eyeliner and apply it to the upper lash line smudging it a bit and keeping it very thin and very close to the lashes. Tight line the upper lash line as well if you would like. 5. 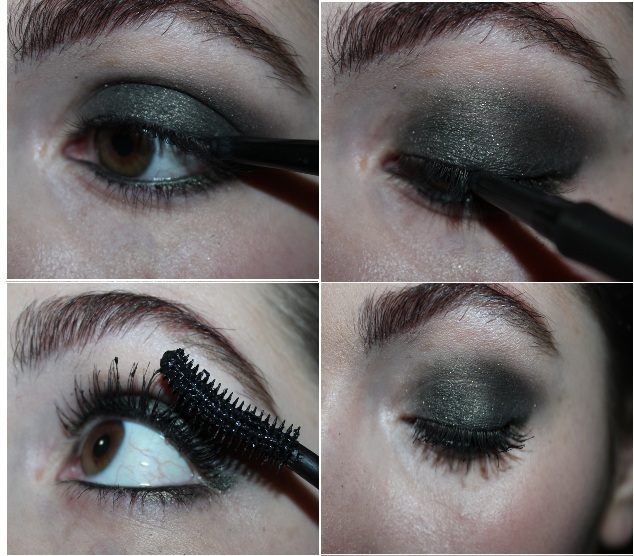 Apply 2 coats of black mascara (LORAC Multiplex 3D Lashes Mascara) to both the upper and lower lashes . So, would you wear a look like this? If you do try it, please send your photos to me with twitter, facebook, email or instagram ( all of those links will be provided below) I would love to see the results! What kind of looks would you like to see in a tutorial next? Let me know in the comments form below and I will be happy to do so. Thank you so much for stopping by, subscribing, commenting and reading it means so much to me!